Modelling with Ordinary Differential Equations integrates standard material from an elementary course on ordinary differential equations with the skills of mathematical modeling in a number of diverse real-world situations. Each situation highlights a different aspect of the theory or modeling. 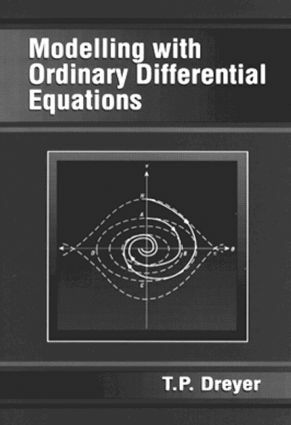 Carefully selected exercises and projects present excellent opportunities for tutorial sessions and self-study.This text/reference addresses common types of first order ordinary differential equations and the basic theory of linear second order equations with constant coefficients. It also explores the elementary theory of systems of differential equations, Laplace transforms, and numerical solutions. Theorems on the existence and uniqueness of solutions are a central feature. Topics such as curve fitting, time-delay equations, and phase plane diagrams are introduced. The book includes algorithms for computer programs as an integral part of the answer-finding process. Professionals and students in the social and biological sciences, as well as those in physics and mathematics will find this text/reference indispensable for self-study.